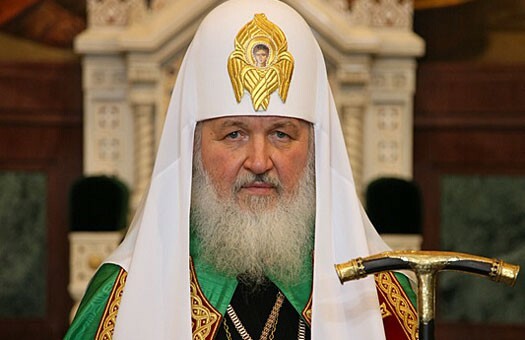 His Holiness, Patriarch Kirill of Moscow and All Russia sent epistles to S. A. Bozhenov, governor of the Volgograd Region, and His Eminence, Metropolitan German of Volgograd and Kamyshin, in which he expressed his condolences to all those affected by the terrorist attack that took place December 29, 2013, in the Volgograd railway station. It was with deep sadness that I learned of the terrorist attack in Volgograd. Malefactors have again attacked peaceful residents, hoping to create fear and confusion among our fellow citizens. The terrorists who sow death and injury belong to different nations and live in different countries and regions, but are all united by the ideology of hatred. I am convinced that the Church, the state, and civil institutions are called upon to cooperate in every way possible to ensure that such destructive ideology have no place in our society. I pray for the repose of the newly-departed and for the speedy recovery of those who were injured. I ask that my condolences be conveyed to the family and friends of the deceased and to all those who have suffered. May sincere concern and help for those who have been affected by this disaster unite all those concerned in vigorous opposition to this evil of terror. It was with sorrow that I learned the news about the latest terrorist attack, as the result of which dozens of peaceful residents of the city of Volgograd were killed or injured. The terrorists, by dealing a blow to innocent people, feed their vain hope of intimidating our fellow citizens, breaking their spirit, and sowing discord in the country. I firmly believe that the will of the malefactors will not be realized, since our people, faithful to the principles of peace and truth, resist it. I ask you to support spiritually those who have suffered and all those who have been affected by this tragedy. They stand in special need of the help and comfort of the Church. I would also like to note that the Russian Orthodox Church, concerned for the promotion of peace and civil accord, cooperates with traditional Muslim organizations that oppose aggressive interpretations of Islam. These include the Central Spiritual Administration of Muslims of Russia, many of whose supporters reside in the Volgograd region. We ask that you encourage your flock to show kindness to these people. I pray along with you for the repose of Orthodox Christians who have perished in this terrorist attack, beseeching of the Lord mercy and strength for all those that have suffered and lost family and friends. +Kirill, Patriarch of Moscow and All Russia.